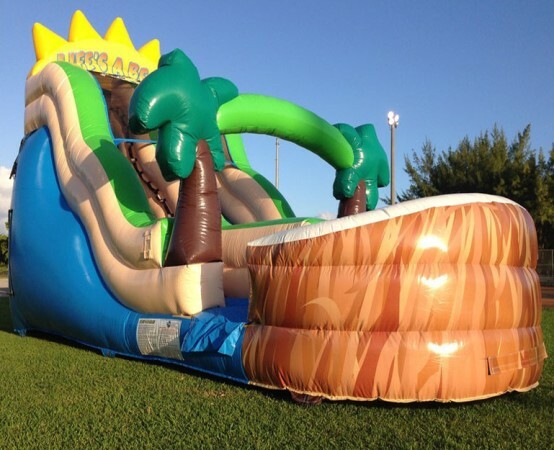 Water Slide Rental in Miami, Broward or West Palm Beach, A GOOD CHOICE FOR YOUR PARTY! It's time to plan your childrens birthday Party, and a big question arises you, How to entertain children? But you have another problem, they are hot days. Rent a Inflatable Water Slide is the solution. If you have access to a pool, the heat will not be a problem , but I miss the fun, and that there is nothing better than renting a water slide with slide for the pool, your party will be a success. Do not you swimming? No problem, you can also choose a pool inflatable water slide. 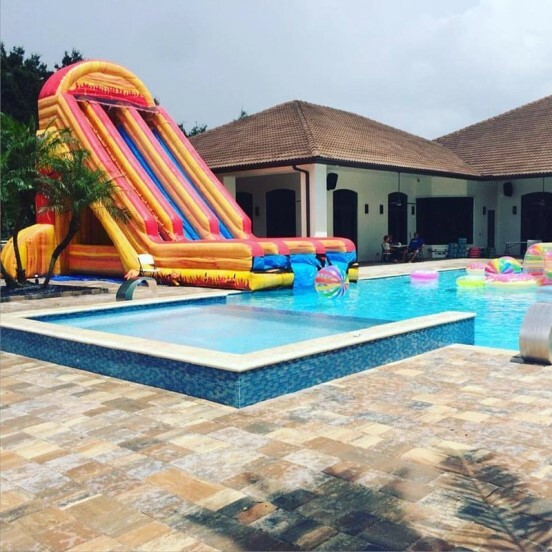 An inflatable pool is a safe option for small, is economical and especially fun that will surely prevent a headache when searching for your party entertainment. 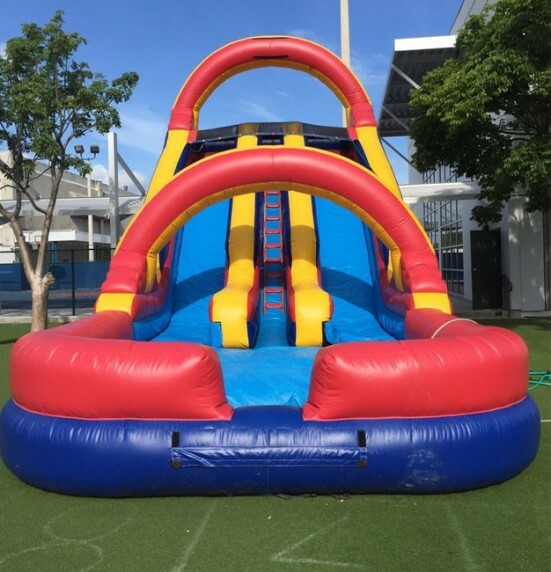 In Bounce House Rental , we have 40 options for Water Slides rentals : choose the one that best suits your space and budget. Whichever you choose will give your event fun needed to make your party unforgettable. "22ft High Tsunami Water Slide"
"Volcano Water Slide (without pool)"
"Rockin Rapids XL Water Slide"
"Twin Tower Double Water Slide"
"Super Bounce House Water Slide"
"Balloons Bounce House Water Slide"
"Dolphin Water Slide (without pool)"
"Sunny Water Slide (without pool)"
"Wild Slip and Slide for Rent"